Just as reflex points, trigger points, ayurvedic marma points, and Asian/European acupuncture points cannot be claimed to be owned by any one group, nation or culture, likewise the spine does not specifically belong to the domain of the chiropractic or medical profession. 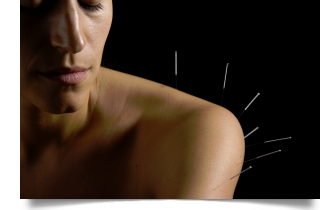 Both acupuncture points and the spine, because of their primordial anatomical presence, defy specific ownership. The chiropractic profession continues to maintain its right and guards its art, science and philosophy to be the only profession which specifically diagnoses and treats the “vertebral subluxation” through spinal manipulative therapy or the chiropractic adjustment. This does not mean that other licensed health practitioners (including acupuncturists) cannot directly treat the spine; it just means they can’t utilize the detection and treatment of the vertebral subluxation. Why an acupuncturist, medical practitioner, physical therapist, massage therapist or any other professional would want to own that particular concept is beyond me. This parallels the dental profession, which is the only profession licensed to diagnose and treat disorders of the teeth and gums. However, that does not eliminate us as acupuncture practitioners from treating TMJ, facial palsy, tic douleroux and a host of other mouth- and face-related conditions, including neurogenic toothache. I think the last thing most LAcs are interested in doing is either diagnosing and treating subluxations of the spine or diagnosing and treating tooth and gum disorders. It seems like we have much more significant conditions to deal with.